Set in a magical mysterious landscape surrounded by woodland with its own foreshore and views across the bay. Snowdrops, bluebells and daffodils abound, with a cascading burn and beautiful old dovecot. 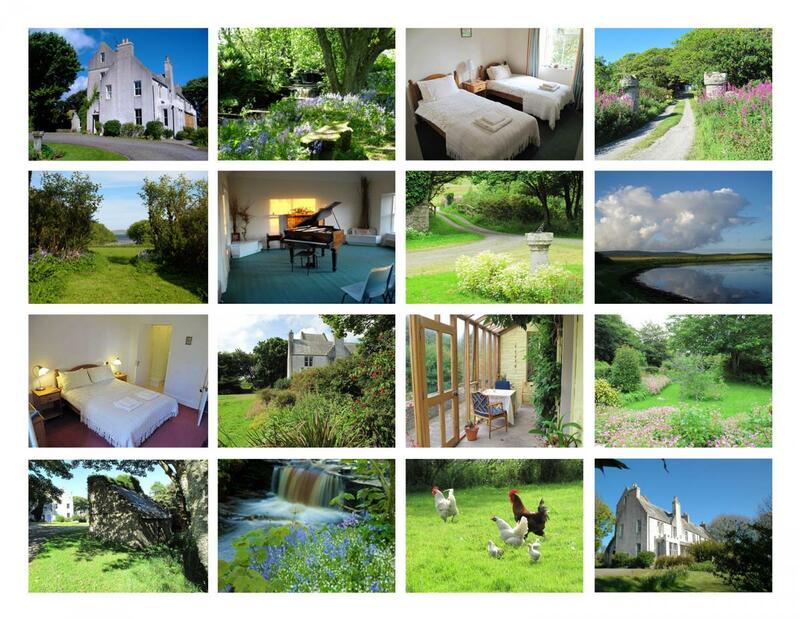 Ideal for small groups for retreat, study, art, writing, voice, bird watching or holidays. There are 8 bedrooms, 4 en-suite and 4 with shared bathroom. Reasonable tariff from £1,000 per week depending on the number of people. When not in use for self catering during the season, Woodwick's 4 en-suite rooms are available for b&b from £45 p/p/p/n. Please email or call us for availability - see details at the bottom of this page. Ring of Brodgar and the 5000 year old archaeological site shown on TV in 2012; Ness of Brodgar. "I have been meaning to tell you how much we enjoyed our stay. We thought the house was magical and we were so lucky to have it to ourselves. Christine gave us a marvellous welcome and made sure we had all that we needed. It was most reassuring and useful to have her shop so near us. the walk down to the shore and back through the woods, the library, the piano and so much else. It was like a dream come true. I have already recommended it to our local ‘Squire’ and will continue to refer people to your web site. and enjoyed the beauty and peace of the islands.